4-in-1 Cloud Cream is a dreamy Gel-to-Water Hydrating Essence Moisturizer with good-for-your-skin ingredients and the ultimate hydrating, smoothing and soothing benefits. Incredibly hydrating, yet light…water-based 4-in-1 Cloud Cream is a moisturizing dream come true. Enriched with age-defying, skin-smoothing Ceretin® Complex, the moisturizing, light-as-air 4-in-1 Cloud Cream nourishes and primes skin with limitless hydration for a radiant and healthier-looking complexion that glows. 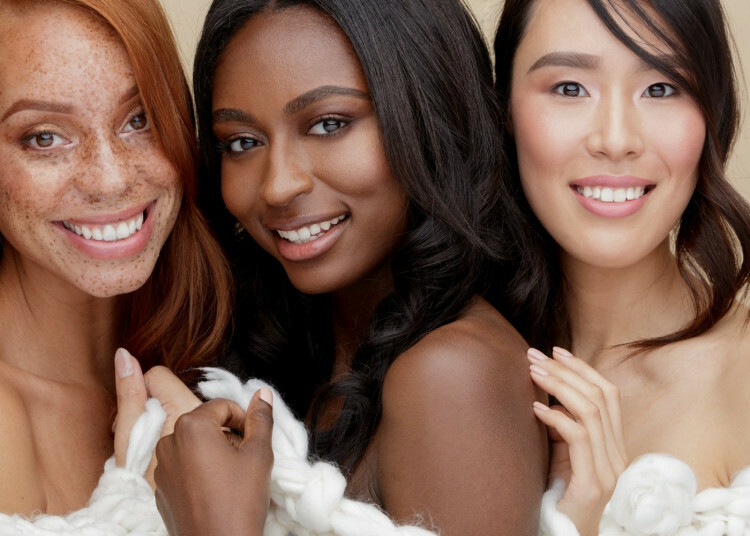 Skin is instantly moisturized, prepped and primed so makeup can go on flawlessly. Skin practically drinks in the hydrating, plumping benefits. Soothing Green Algae Extract helps protect skin from damage caused by visible blue light, a common environmental stressor that can cause oxidative damage to the skin. The innovative Gel-to-Water Hydrating Essence Moisturizer cream magically transforms upon application. So pillowy and fresh, without being sticky, your skin will look so dreamy, you might feel like you’re on cloud nine! The unique gel-to-water texture also doubles as a primer. Shake well before use. Apply to freshly cleansed skin morning and night. Don’t neglect areas like the neck, décolleté and lips. Along with the face, it’s important to moisturize these areas for hydrating, youthful-looking benefits. Take time to massage it in to stimulate your skin cells. It is a great moisturizer. It feels so soft and weightless. I feel it does a wonderful job, however, under my eyes it just doesn't do what I need it to which reflects my 4 stars instead of 5. I really need something more for under my eyes which left me a little disappointed because I wanted an all in one. I expected something watery like lubriderm but it's not that. This is perfect for the facial dryness from medication or from everyday washing even with oily skin. A little product goes a very long way and I love the container it's in. I have never written a review before on a moisturizer. Never written a review for Pur Cosmetics at all but I just have to with this. 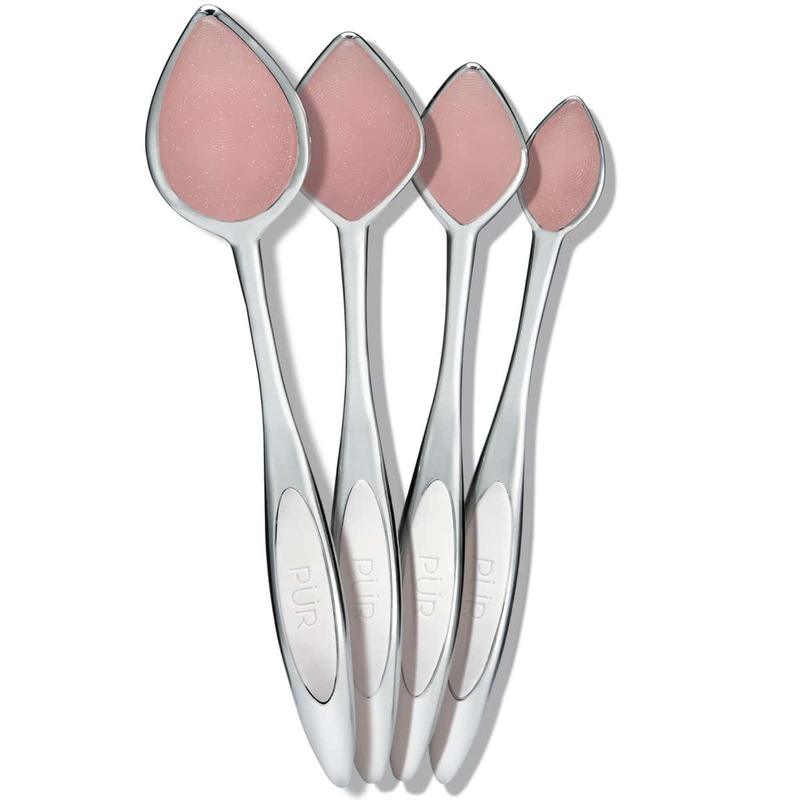 I ordered 2 of these when they were on sale at Ulta. I suffer from extremely dry skin due to the fact that I don’t get outside at all. I get no sun or anything. I’m terminally ill and I am stuck in my bed 95% of the time. The first time I used this I really wasn’t expecting too much. Boy, was I ever blown away!!! This stuff made my skin feel so soft and supple. I couldn’t believe it. It felt so wonderful going on my skin. It was like my skin was parched as if I’d been in a desert for days. My skin drank this stuff in and I must say I will never stop using this stuff. Everyone that comes to visit me gets a chance to try this because I want to see what their thoughts are on it. Everyone I’ve had try it, just love it! It’s the best stuff I’ve ever tried and I can stop looking now. I couldn’t tell y’all how many moisturizers I’ve tried over the years. So happy I’ve found my lightning in a bottle. I love the way my skin feels after moisturizing. I have uneven skin tone due to sunburns, this cream helps. Light as air gel like moisturizer is a total dream. So glad I discovered this! Love this moisturizer. It’s light, and non greasy. Perfect under make-up, or no make-up. I love all pür skin care. This was my first experience with this one in particular. I love how smoothly it goes on. I feel it moisturizes well and feels clean, and absolutely non- greasy. I have sensitive skin, so I am careful with my product choices- this was a great find! This moisturizer is amazing. It is extremely hydrating, does not feel heavy or greasy. The water/gel based formula allows the product to soak directly into the skin for long lasting hydration. 1 cloud nine Goes on so smoothly and you don’t need a lot to cover your face. A little bit goes a long way. Again I love love love your products.! I started using pur products are year ago and have seen an amazing difference in my skin. In fact I went to go get my eyebrows waxed and the lady there asked me what I am using because she loved my skin. She asked me how old I was and I told her I was 58 and she said you do not look 58 because your skin is so smooth. I will never use any other product besides pur. Love all of it! I purchased a lipstick and everywhere I go everyone compliments me on it! I got the grinch set as a gift for my sister and she completly loved it and wears it all the time! I definitely would recommend PUR products! I had previously been using the Soak It Up intense hydrating moisturizer but decided to give this one a try. I LOVE it. Feels so natural on my skin. I put it on at night and in the morning my skin is still feels nourished. Highly recommend! Bought this on the recommendation from Pur. Lovely, creamy, absorbs well, very moisturizing, I'm very happy with this! Seems greasy, but when I apply make up, it works well and isn't greasy afterall. 10/10. I have got oily skin and I have tried L'Oreal Hydra Genius but I didn't like it much. Then I tried 4-in-1 Cloud Cream Moisturizer and I am very pleased with it. I like its texture. It's light and its scent is not too overwhelming (I use it before going to bed so too strong smells make it hard to fall asleep). This cream creates a thin film but it's not too sticky and I wake up with nicely moisturized face skin. Besides that the jar is beautifully designed. I would highly recommend it to my friend. 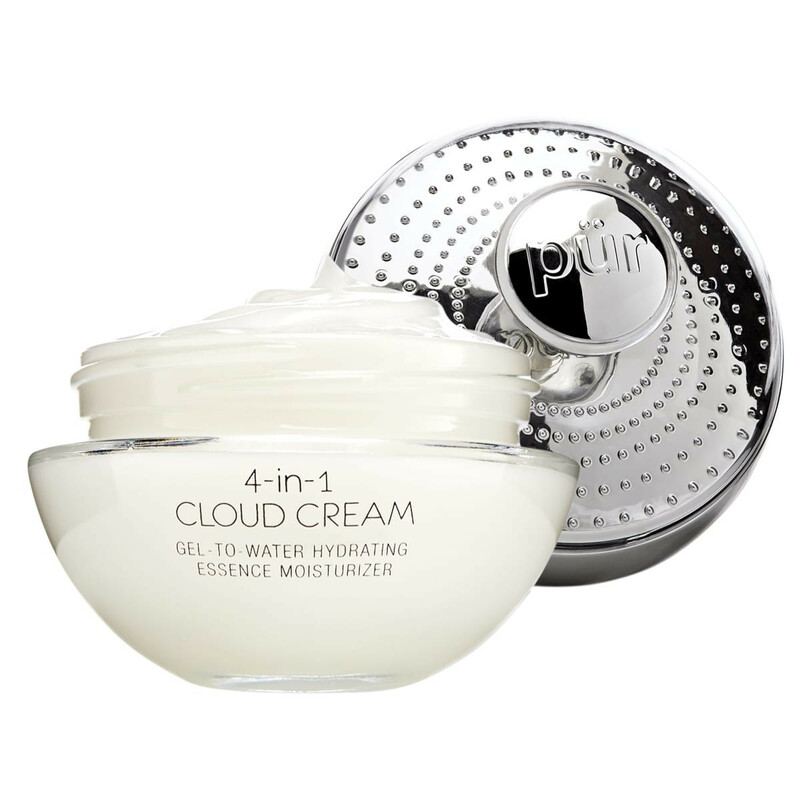 4 in 1 Cloud Cream Moisturizer!!! I love this moisturizer! I always apply it right after the shower and it absorbs so well. Its so light and doesn’t leave any kind of oily or greasy residues and actually primes my skin well for makeup! A little bit goes a long way too so one jar lasts me about 4-6 months. Love how this makes my skin look & feel! I got a sample of the cloud cream moisturizer, and fell in love! I love how lightweight and quick to absorb this moisturizer is! I didn't think anything could rival Pur's Soak It Up for hydration, but the Cloud Cream is top notch! Not only is it super hydrating, but my skin even looks better, more rejuvenated! This is a definite must-have in my skin routine from now on! Thank you, Pur, for developing this amazing product! Skin looks like it glows. Love the 4 in 1!!! Only skin care system that I will use as it doesn’t make my rosacea flare up!!!! 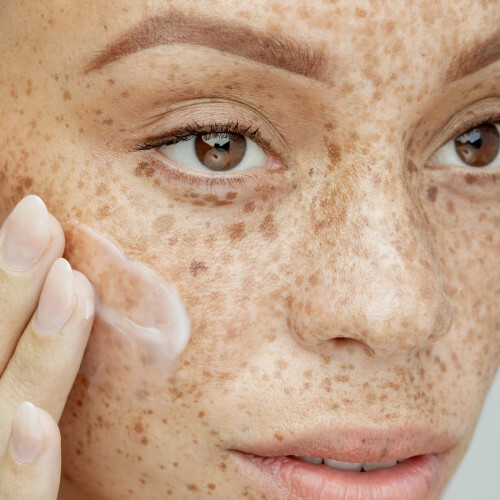 I have combo skin that gets oily in the t-zone, but I have dry patches so I need a moisturizer that isn't going to make me oily or shiny, but will provide hydration. I also prefer a dewy glowy look and this has made a difference in my skin's appearance! I feel like in the past few weeks of using it my skin looks clearer, is more even toned and is more radiant with less dry patches!